Looking for a cool vector design concept? Look no further! 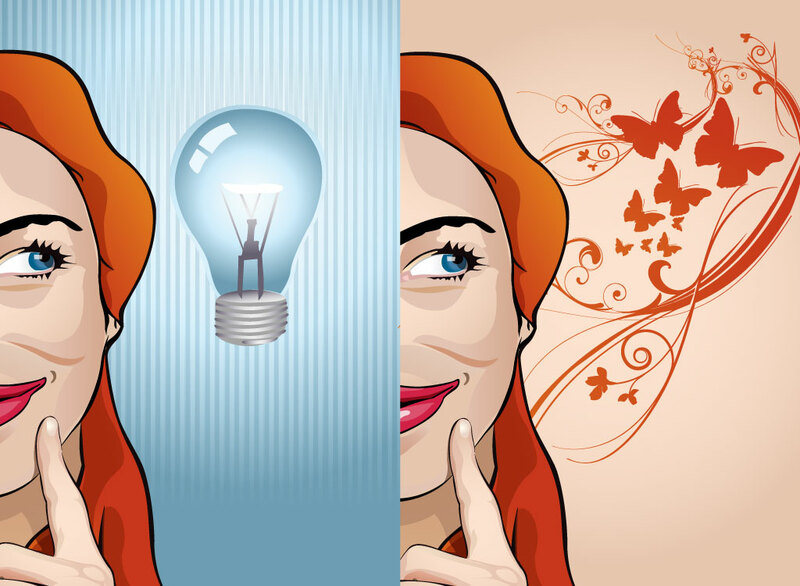 Download this free vector illustration of a read haired woman seen on two different backgrounds. One features a light bulb, a symbol of thought and enlightenment and the other butterflies and floral scrolls showing creativity. This is a high value free graphic download with well crafted art and strong concepts. Tags: Bright, Concept, Girl, Ideas, Light, Light Bulb, People, Thinking.